This online interactive Referral Tool is designed for Health Professionals to find mental health referral options for children and adults of a refugee background in SE Qld (Updated April 2018) . This list was is not exhaustive and is to be used only as a Guide. Culture in Mind – a community-based service that supports the social, emotional and mental well-being of migrants, refugees, and people seeking asylum in the greater Brisbane area. Harmony Place – a community-based multicultural organisation that provides culturally responsive services to strengthen the mental health and well-being of people from Culturally and Linguistically Diverse (CALD) backgrounds. NOTE: Contact Brisbane South PHN regarding the availability of free interpreting services for Allied Health Professionals. More information here. Low Intensity Psychological Therapies – Problem management Plus – Culture in Mind – A CALD specific mental health support program. NOTE: Contact Brisbane North PHN regarding the availability of free interpreting services for Allied Health Professionals. More information here. NOTE: Contact DDWM PHN regarding the availability of free interpreting services for Allied Health Professionals. More information here. Queensland Transcultural Mental Health Centre – New additions posted to website monthly. Cultural diversity and assessment: a resource for mental health practitioners (July 2018) – Victorian Transcultural Mental Health. More info here. Emerging Minds – The National Workforce Centre for Child Mental Health offers innovative online, free courses available 24-7, specifically designed to support practice. Liver Health and Mental Health Worker Resource – designed to raise awareness of the links between mental health and liver health Download it here. The Queensland Program of Assistance to Survivors of Torture and Trauma have developed a brochure for community leaders about mental health. Download the English brochure Information for Community Leaders about Mental Health and to download versions written in Tigrinya, Kirundi and Somali see the QPASTT website. Queensland Health have translated fact sheets about the Mental Health Act. 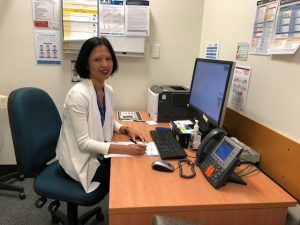 Throughout the 2017-18 financial year Brisbane South PHN collaborated with the Mater Refugee Complex Care Clinic (MRCCC), Mater Emotional Health Unit and Qld Program of Assistance to Survivors of Torture and Trauma (QPASTT) to trial a Refugee and Asylum Seeker Mental Health pilot that aimed at facilitating access for people from a refugee and asylum seeker background to psychiatric services and build capacity in primary care to support mental health presentations. The 11 month pilot was based in MRCCC and was funded for one session (4 hours) per week of psychiatric assessment and review time and one session (4 hours) of capacity building activities with referrers and primary care. Throughout the trial a total of 25 referrals were received and 24 were accepted. Most referrals were for Post-Traumatic Stress Disorder (PTSD) and depression and 58% of patients were seen for a review appointment. MRCCC provided an additional four hours of refugee health nursing support to assist with assessments, consent and administering the K10. Patients of the pilot spoke 11 different languages and were born in 12 different countries. An interpreter was used in 30 of the 36 appointments attended. Additionally, capacity building activities included both formal and informal education and seminars, these were delivered via practice visits, case conferences and workshops. The Refugee and Asylum Seeker Mental Health and Wellbeing Pilot was an effective partnership between Brisbane South PHN, MRCCC, QPASTT and Mater Emotional Health Unit to address an unmet need for this patient cohort. Qualitative and quantitative data indicated that there are ongoing needs and barriers in terms of affordability and cultural appropriateness of psychiatric services available to refugees and asylum seekers. A major success of this pilot has been the capacity to successfully embed the service in MRCCC and to secure Mater resources to continue a refugee and asylum seeker mental wellbeing service, including an extension of scope to provide ongoing care. It is credit to all the partners and staff that this relatively small pilot yielded a long lasting impact and patients from refugee and asylum seeker background now have a specialised psychiatric service at MRCCC. If you would like further details on this program contact MRCCC on (07) 3163 2880.